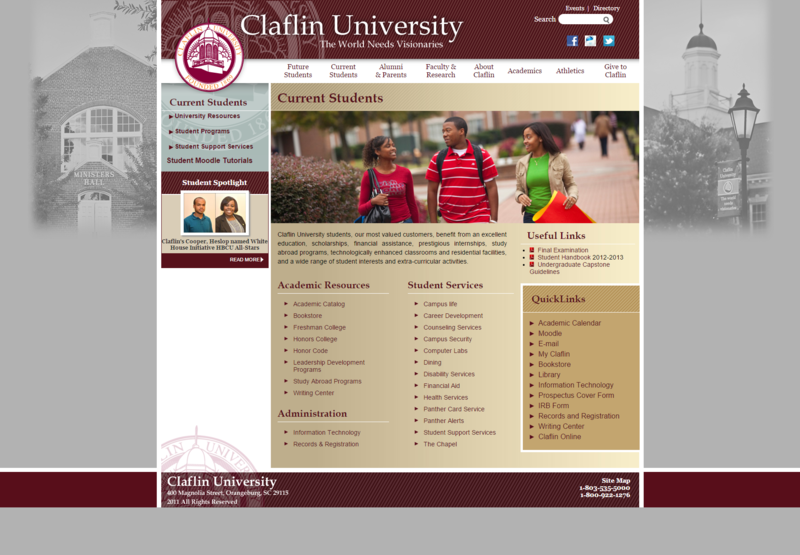 The Claflin University website redesign included many improvements in both the frontend design and backend capabilities. 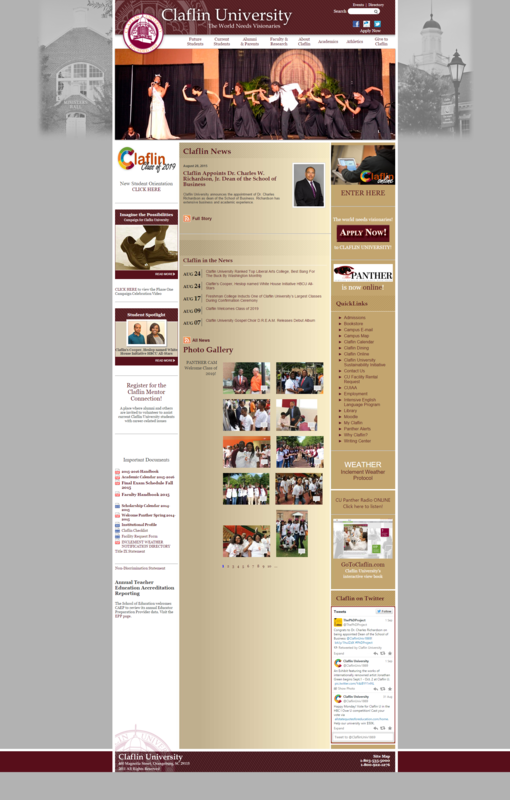 The new frontend of the site allows the distinctive culture of the university to be portrayed within a more accessible navigational structure. 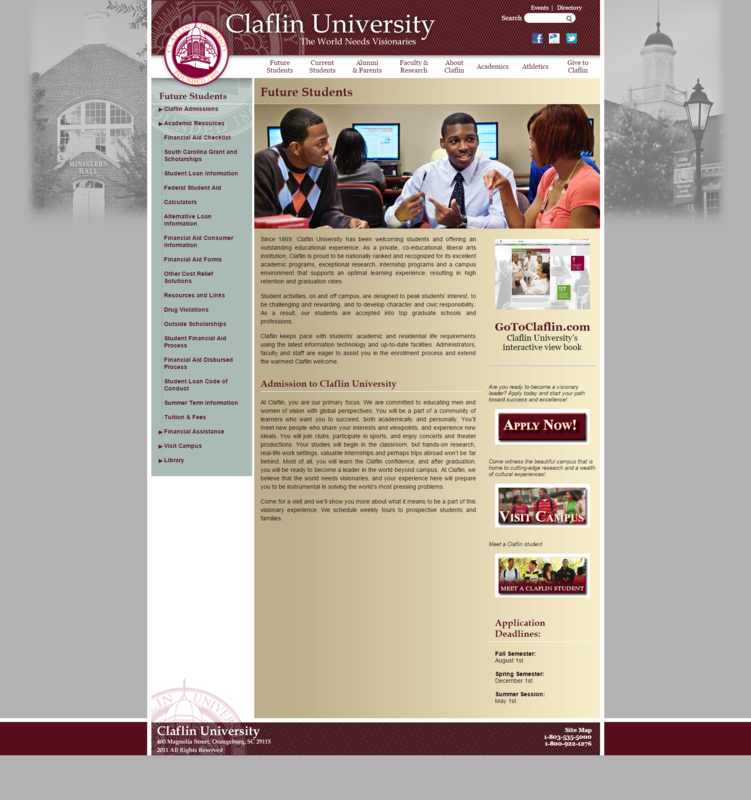 The additions of a Twitter feed, the news section, and the events section allows the university community to stay connected to university information. 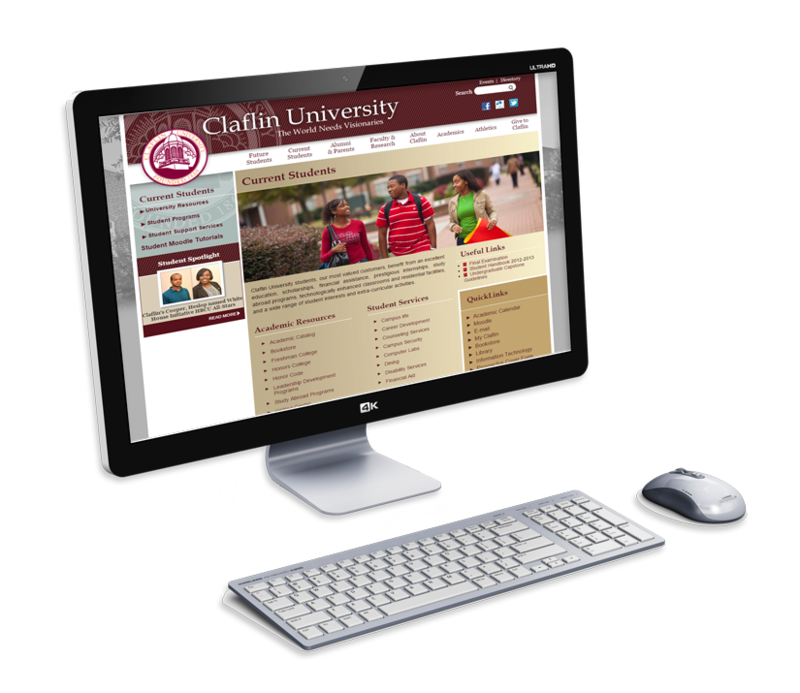 The backend was built using the Sitefinity Content Management System, which allow the university staff access to the site content in a way that had never been possible before.